SW Motech brings you the TraX ADV Top Case, a 38 litre Aluminium Top Case. Part of SW Motech’s latest TraX ADV series of hard luggage, this Top Case is the ultimate in durable and dependable luggage. Made from 1.5mm thick Aluminium using no-pierce rivitting technology, giving a super strong structure thats built to take a beating. 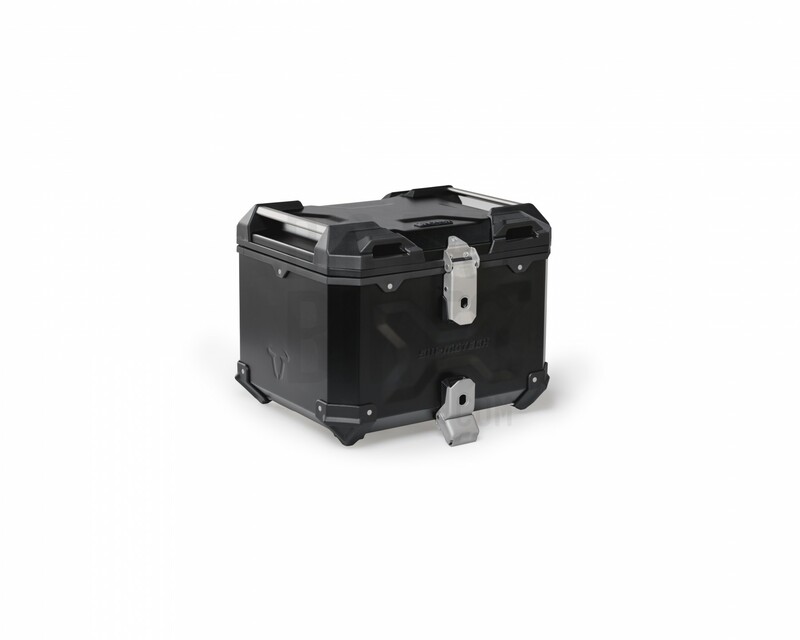 These cases are designed to work along with the SW Motech STEEL-Rack or ALU-Rack along with the appropriate adapters. The TraX ADV lines features upgrades such as a complete metal structure, integrated handles on the top case, included lid stays, sturdier hardware, better weather sealing, updated design. Available in Silver (anodized) or Black (powder coated). The TraX ADV series also has optional add-ons available, such as lid nets, drybag liners, camera bags etc.